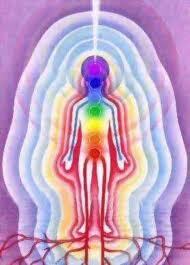 Brennan Healing Science® is multidimensional and can address all kinds of discomforts and dis-eases. It will affect your physical body, all the levels or “bodies” of your Energy Field; it will affect your intentionality toward life and help you align to your life’s purpose; it will help your Essence to shine and to express itself in all aspects of your life and of your being. Besides from having transformed my whole life, a success I can bear witness to is to have been able to avoid a kidney operation and to heal. In December 2009, I had to operate my left kidney due to a pyeloureteral junction syndrome that I probably had for ever. The operation and the recovery process went surprisingly well, with the presence and support of healers in Belgium and in the U.S. during, before and after this operation, and the loving support of my healer colleagues from BBSH, and family. In this process, I benefited from what I described on the list above. On the page Testimonials of this website, clients talk about their experience and about the benefits they received from healings sessions with me. You will find an interesting video from a renowned surgeon in the U.S., Dr. Mehmet Oz, on the healing power of energy healing on page Link of this website.